The Beach House Cozumel is mixed in a warm, traditional Mexican style with European quality and a few personal touches. You can also enjoy our private swimming pool and the beautiful garden. Just 2 minutes walk away is a fantastic white sand beach, which offers some of the best kiteboarding conditions in Mexico. The Island is famous for great snorkeling and some of Cozumel's best Kitebording and of course the Golf Course across the street. 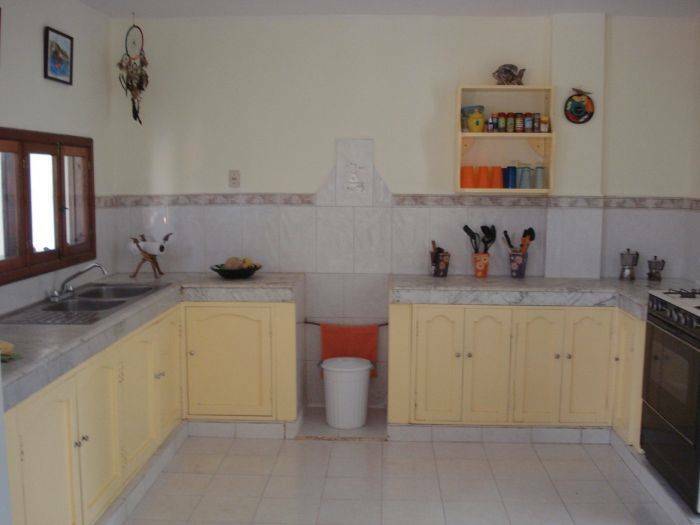 Our Beach House is the best Quality in the best Location. 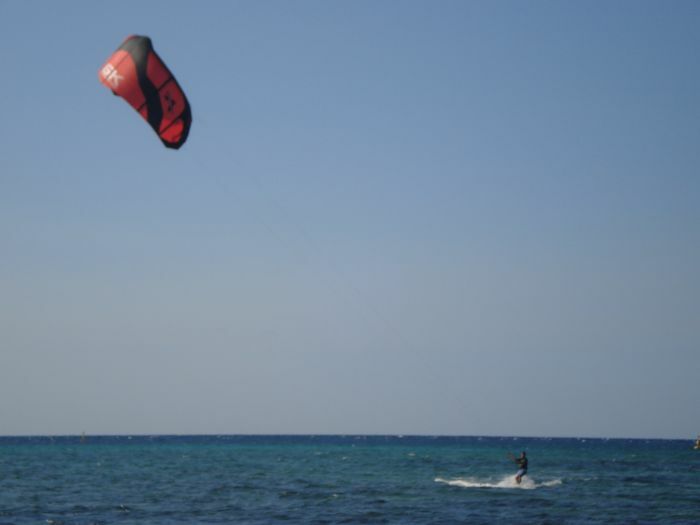 Outside of kiting Cozumel has many other activities to enjoy. With some of the best coral reef in the world, snorkeling or scuba diving is a must. Deep sea fishing is also very popular. We can organize Tours into the Countryside and to deserted Beaches or Cultural Trips to Mayan Sites Chichen Itza, Coba, Tulum and San Gervacio. Or if you just want to relax with and have fun, try one of the many restaurants, bars or night clubs. Cozumel Caribe is the perfect setting for a romantic get away, which offers the perfect balance of the relaxation of the resort, and the exciting adventure of the island. Our Beachouse offers the best quality at the best location. All the rooms comes with clean linens, sheets, pillows, soap, hotwater, ceiling fans throughout and fully insect screened. We currently have 1 room with 2 Queen beds, 1 King bedroom, and 1 Queen bedroom along with 2 rooms with 2 single beds. Coffee/tea maker Internet access Kitchenettes Non-smoking rooms Private bathroom Toiletries complimentary all rooms come with sheets pillow soap ventilator hot water and towels. 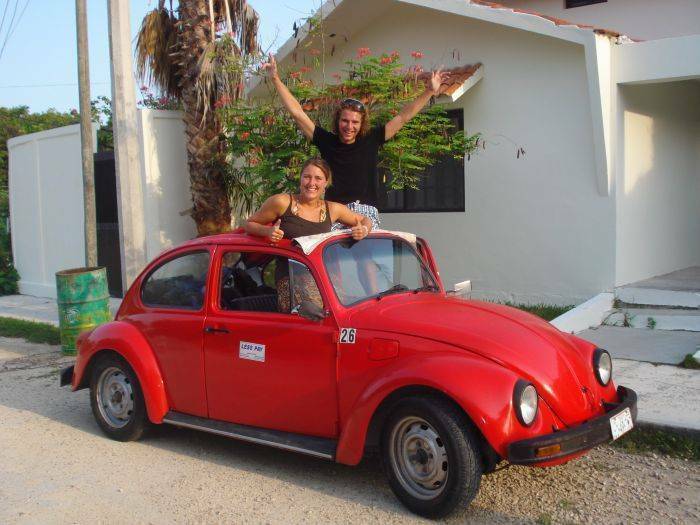 The Beachouse Hostel Cozumel situated within the grounds of Cozumel Country Club, just 5 km north of San Miguel Downtown and a short walk away from the Golf Course. Just over 100 meters away from the hostel are the beautiful sandy beaches. There is a ATM Maschine, next by the Hotel Melia. 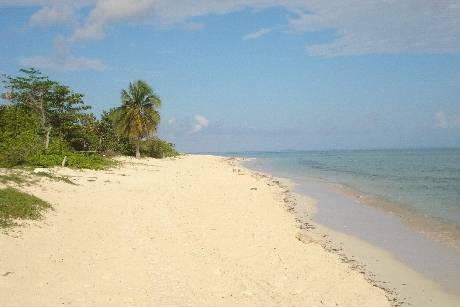 We are located in the north of Cozumel, Mexico's largest Carribean Island. 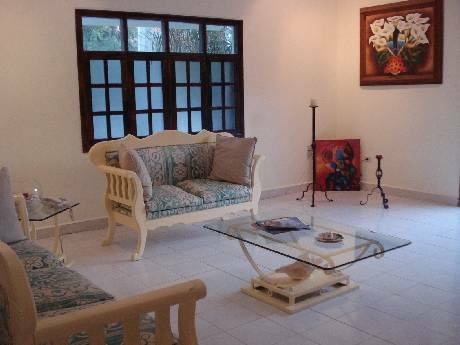 It is a 5-10 minute drive from Downtown, the Airport or the passenger ferry terminal to Playa del Carmen on the mainland. The Country Club Estate has no Bus connection to the Country Club Estate, but Cozumel has a very good Taxi-Service. We can help you, if you want to rent a Scooter or Car in advance.